Chaplain Mark Clements being sworn as President of ICPC. 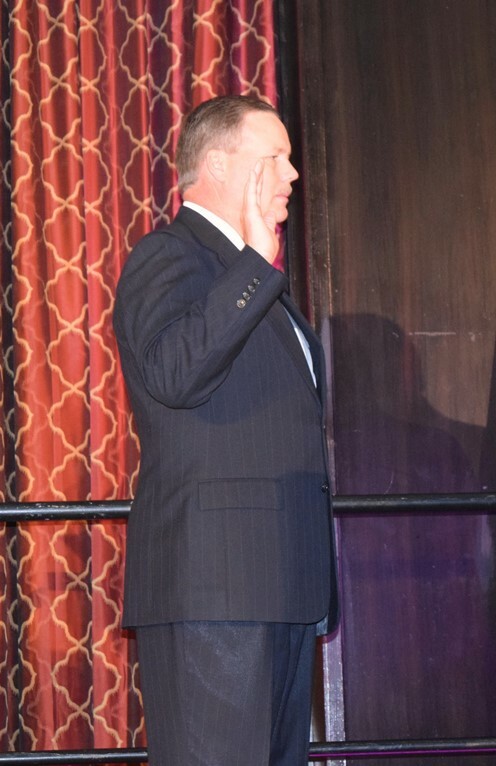 The La Crosse Police Department is pleased to share that Mark Clements, Head Chaplain of the La Crosse Area Law Enforcement Chaplaincy, was recently installed as the 21st President of the International Conference of Police Chaplains (ICPC)! Chaplain Clements became a Life Member of the ICPC in 2001, and through this organization, has earned his Basic, Senior, Master, and Diplomate Credentials. He has served in many roles including President-Elect, Vice President, Spiritual Oversight Committee Chair, Wisconsin ICPC Area Representative, as well as membership on the Education Committee and By-Laws Committee. The ICPC is an international organization that provides training and support for Police Chaplains, Liaison Officers, and law enforcement agencies. Since its inception in 1973, ICPC has expanded to all continents with 2,500 members represent 20 different countries. Since 2001, Chaplain Clements has served as Head Chaplain of the La Crosse Area Law Enforcement Chaplaincy (LALEC), a group of around 20 other Chaplains who serve the La Crosse Police Department, Onalaska Police Department, La Crosse County Sheriff’s Department, La Crosse County Medical Examiner’s Office, as well as the Federal Bureau of Investigation. The LALEC Chaplains are trained to serve the needs of all without religious, social, or gender bias and to provide a ministry of presence, supplying a source of strength to law enforcement officers and their families, departmental members, and members of the community during the most traumatic events in their lives. Please join us in congratulating Chaplain Mark Clements, the 21st President of the International Conference of Police Chaplains!